Unisex surfer bracelet that is upbeat and colourful. 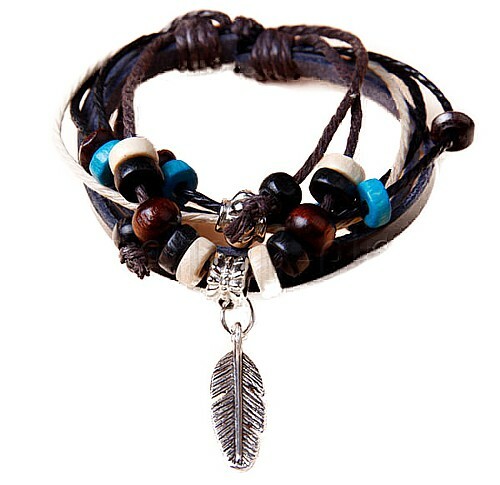 Features five stands of beads, threaded on cord with a Tibetan Silver feather on an ornate bale centrepiece and a thick black cowhide band. All coming together via a sliding knot that is adjustable between 19 - 28cm (7½" - 11").